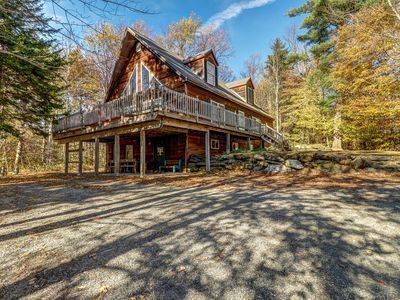 This chalet is perfect for outdoor lovers of any season. 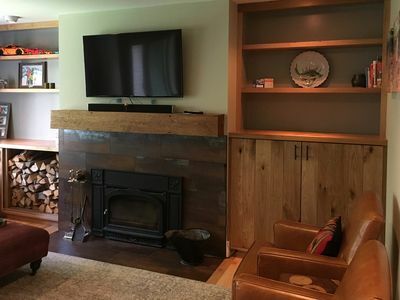 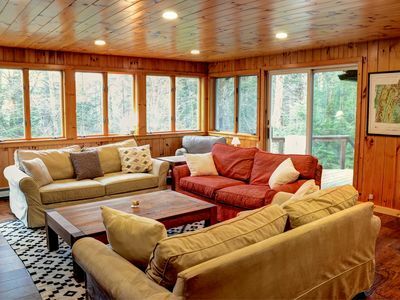 Tucked away in a surrounding forest, our home is secluded yet only a minute or two from all the action at Sugarbush. 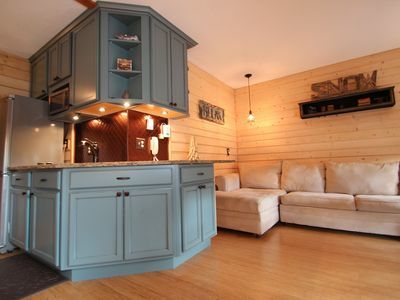 The entry level offers a heated boot room, complete with a foosball table, extra TV, and ample storage for your gear. 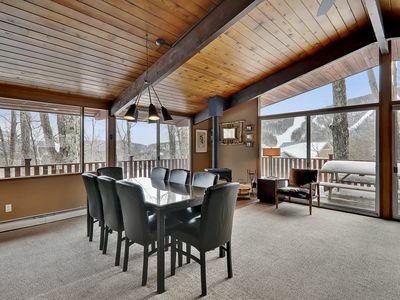 Above on the main floor deck is an eight-person hot tub, perfect for relaxing after a day on the slopes or the links. 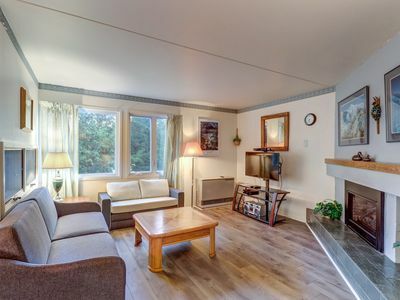 The bedrooms are situated for maximum privacy with an open living and dining area, offering a vaulted ceiling with a cozy corner woodstove. 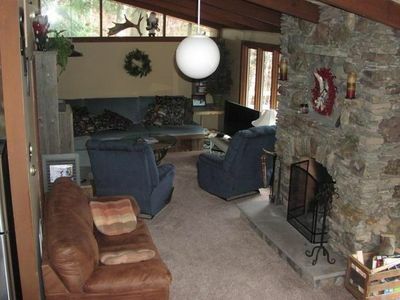 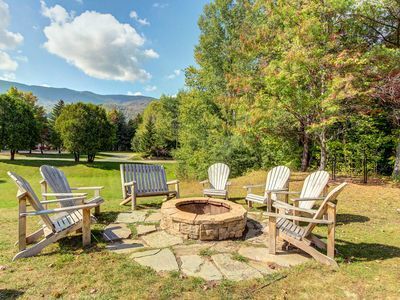 Located just minutes from the trails at Lincoln Peak and Sugarbush's Robert Trent Jones, Sr. 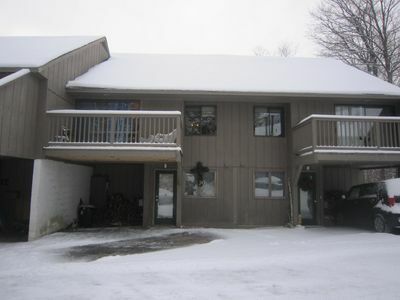 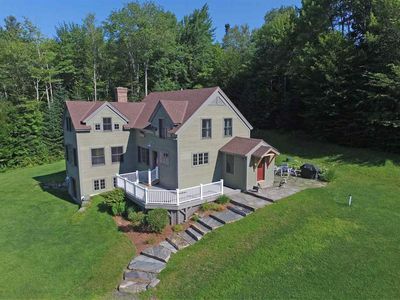 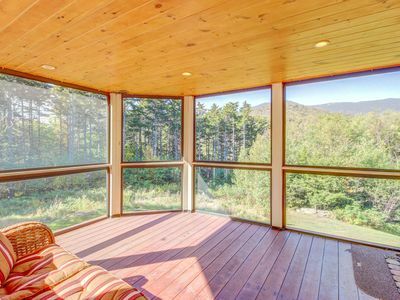 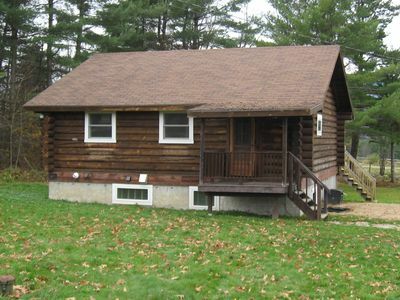 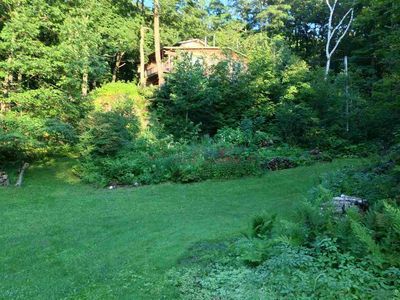 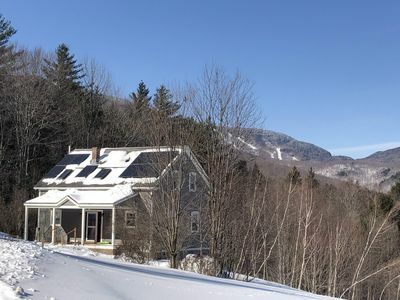 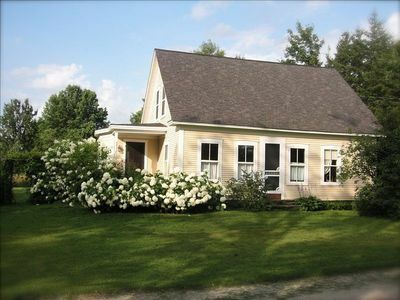 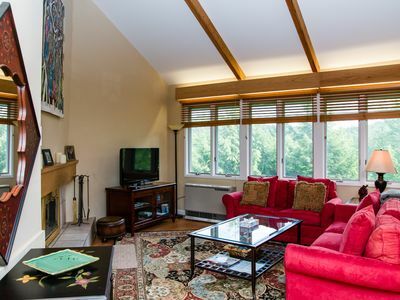 Golf Course, this home provides easy access to the great outdoors of Sugarbush Resort and the Mad River Valley. 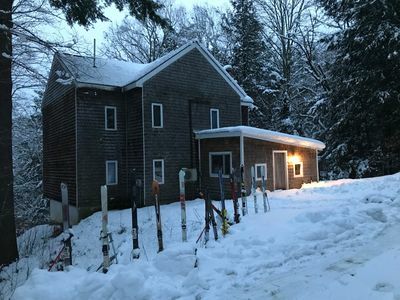 There are cross-country trails, working farms to visit, Warren Falls, and the Lincoln Gap Road for enjoying the outdoors and specialty shops including the Warren Store, spas, the Sugarbush Health and Racquet Club, and the Mad River Distillery, if you are looking for something indoors. 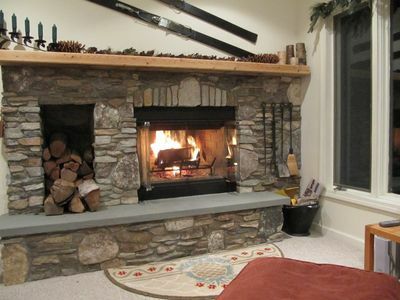 You will also find that there are great restaurants both on and off the mountain. 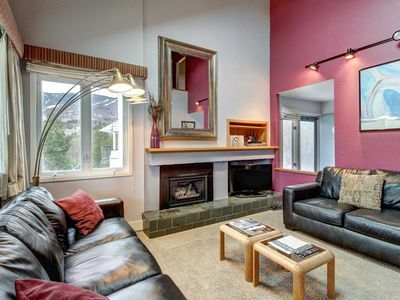 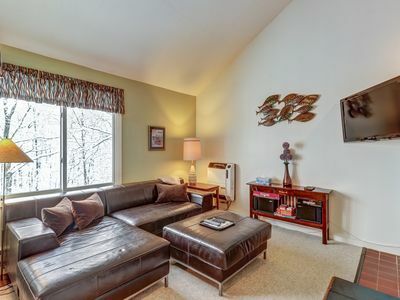 Bridges Resort condo w/ shared pools, hot tub, gym, tennis - near ski slopes! 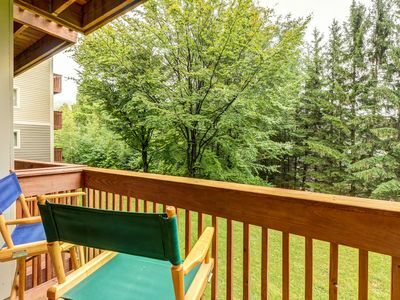 Mountain condo w/3 pools, hot tub, 12 tennis courts, gym, game room, etc!